Frida Erlöv will present her Bachelor thesis about Greenhouse gas emissions from fly larvae composting on 22 February at 2 pm in Ekoln. Håkan Jönsson is the examinor. The presentation will be held in Swedish. Black soldier fly (Hermetia illucens) composting have proven to be very effective in degradation of organic waste products, while generating valuable products, such as animal feed and organic fertilizers or biofuels. 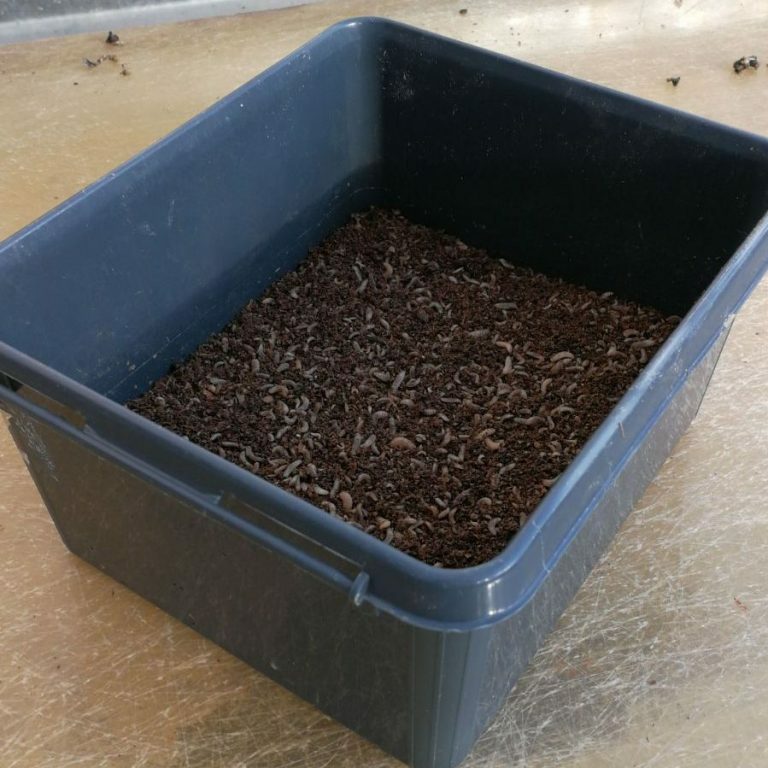 Treatment with black soldier fly larvae has thereby a potential to contribute to a more environmental friendly and economically viable management of biological waste fractions. The aim of this study was to measure greenhouse gas emissions from black soldier fly composting and to compare these with emissions from thermophilic aerobic composting. Gas emissions from three different black soldier fly larvae composts were measured: one with only larvae and two in which specific fly larvae bacteria were added as well as the larvae. In addition, various parameters (pH, bulk density, compost maturity, total solids, organic content and total-N) were measured, to get a better understanding concerning present processes. The total greenhouse gas emissions were approximately 55 kg CO2-eq. ton-1 initial material (wet weight basis) for all three treatments. The CH4-emissions, for the treatment where the bacteria and larvae were added simultaneously, was observed to be significant higher compared to the other two treatments. The CH4-emission were very small compared to the emissions of CO2, thus the total greenhouse gas emissions did not differ significantly between the treatments (p<0.05). No significant difference was observed for the other measured parameters, suggesting that the studied treatments were equal in terms of process efficiency. Greenhouse gas emissions reported for thermophilic anaerobic compost from other studies have generally been higher than what was measured in this study from the fly larvae composts. Despite the uncertainties in the comparison between the fly larvae and thermophilic composting methods, the results suggest lower greenhouse gas emissions from black soldier fly composting.